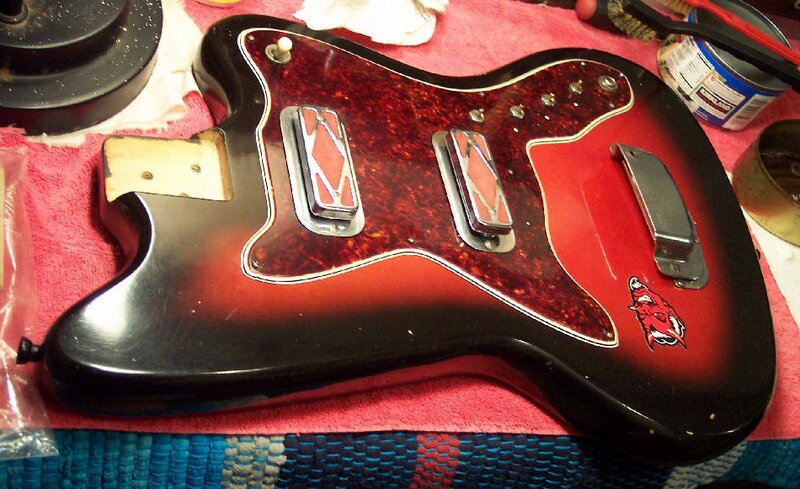 Replacement pickguard and electronics assembly has been cleaned and prepped as previously shown. 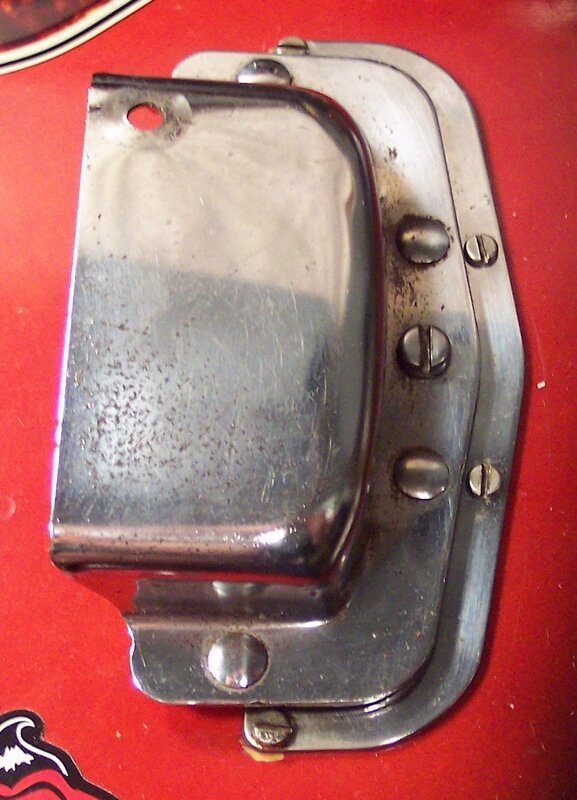 Body screw holes were doweled with round toothpicks and new pilot holes aligned with pickguard holes and screws set. 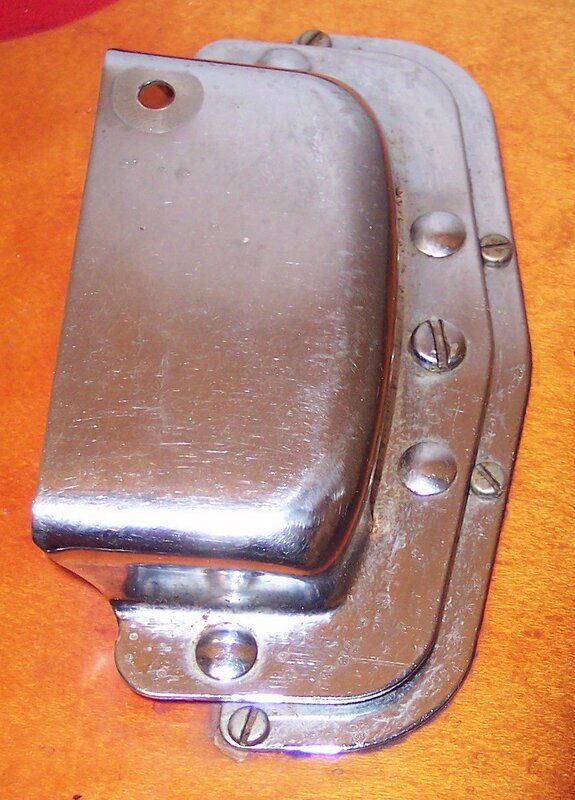 The replacement guitar's vibrato assembly was nicer than the one The Rascal wailed on for years; Shown here before removal from the donor guitar. So Da Rascal gets the better one for his revival antics. Da Rascal's vibrato before removal for change-out. 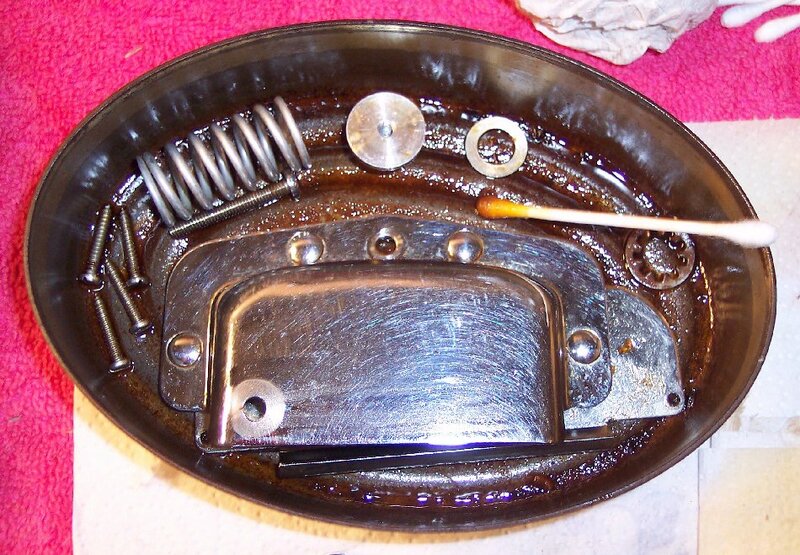 The donor vibrato assembly getting it's capillary oil soaking for clean-up the next day.